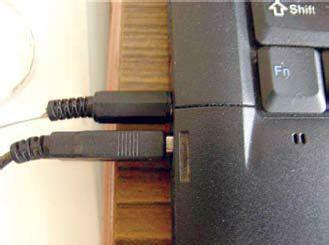 Why share a single earphone pair with your friend while watching a dVd on your laptop? This active splitter for laptop audio-out is powered from a USB and provides individual channel gain of 39 dB and individual volume control of a head-phone channel. 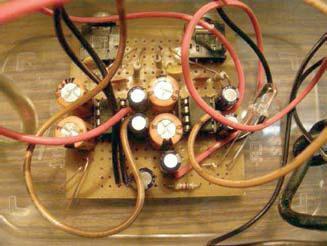 The circuit uses two TDA2822M audio power amplifier ICs for head-phones/small speakers. Each 8-pin DIP TDA2822M has two audio power amplifiers: one to serve the left channel, and the other for the right channel (stereo). Therefore to get a two-headphone output, you require four amplifiers or two pieces of TDA2822M. This laptop audio-out splitter boosts the bass. However, it introduces a slight hiss (noise), which actually improves the listening experience, and is susceptible to interference from mobile phones. The TDA2822M is a remarkable IC with a low external component count. While the LM386 is capable of providing an unnecessarily larger gain than this IC, the TDA2822M wins on three counts: simplicity, low noise and two power amplifiers in one 8-pin pack-age. The TDA2822M can operate over a voltage range of 1.8V to 15V. 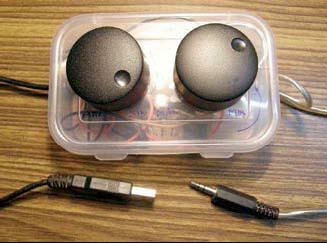 The USB port provides 5V and 100mA current, which is more than enough for two pairs of headphones. Left output of Laptop will be connected to Left input of both amplifier circuits and the right channel will be treated same to right channel. Pictures of this project are shown below.